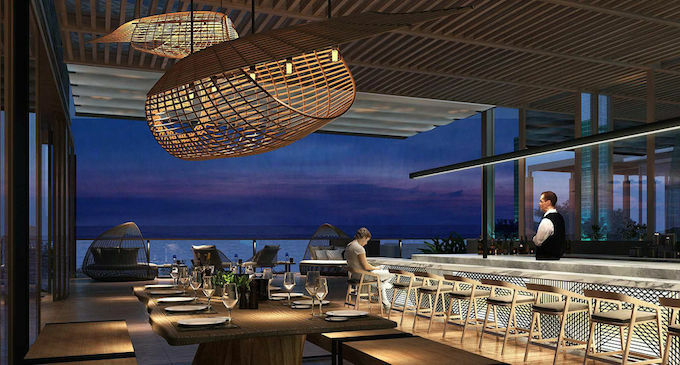 Renaissance Hotels is due to open its first resort in the seaside town of Pattaya in Thailand on 1 September. Located in the attractive and tranquil Na Jomtien district, the low-rise resort will offer a fashionable beachfront retreat within easy reach of the town’s attractions. Stylish and vibrant interiors are set wow guests at the 257-room Renaissance Pattaya Resort & Spa, which will offer four room categories available, including some of the city’s most comfortable accommodation, including chic Pool Villas and spacious Family Suites. Recreational facilities will include two outdoor swimming pools, a kids pool, kids club and a luxury spa. Gourmet choices will be available around the clock, as dining options at the resort are set to include 609 Kitchen for breakfast and all-day feasting and speciality restaurant, Pebble Bar & Grill, for fine cuts served alongside hand crafted beverages, created by an expert mixologist. R-Lounge will create a relaxing space in the lobby area, where guests can unwind and soak up the buzz of the resort. The design of the hotel is inspired by the serene beach setting of Na Jomtien and the local fishing village that Pattaya once was. Playful use of wood, veneer and metal finishes in organic earthy tones bring the feeling of the sand from Na Jomtien beach to each space, accented by marine shades of cobalt and gentian blue. The use of local Thai silk from Jim Thompson, cotton, chenille and jute complement the design scheme by adding texture and a feeling of real luxury. The new property will reflect the brand’s signature approach to feed curiosity, fuel the imagination and excite the senses. Following the Renaissance principle of Business Unusual, where even meetings and events offer something beyond the unexpected, R.E.N. Meetings will offer groups a non-traditional experience, rooted in creative sensory meeting design and custom-curated local Navigator excursions and networking events. With spaces that can accommodate meetings and events for up to 600 people, Renaissance Pattaya is looking forward to establishing itself as a premier destination for meetings and incentives in the region.